Zeina Al Nabih is a Senior Associate in the Corporate Commercial practice in Qatar. She has over 9 years of transactional and advisory experience and works on a wide range of mergers and acquisitions and banking matters in both Jordan and Iraq. 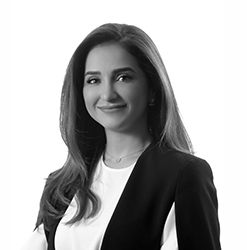 With extensive experience in corporate commercial matters, Zeina has also advised on many high profile public private partnership transactions and securities offerings in Jordan. Also, Zeina has advised on oil field services agreements, major distributorship arrangements and acquisitions on oil filed interests in the region. Generally, Zeina advises on various commercial contracts, including commercial agency agreements, joint venture and shareholders’ agreements. Zeina regularly advises major real estate developers in Jordan, pharmaceutical companies and a wide range of clients. She is also involved in the largest renewable energy projects in Jordan. 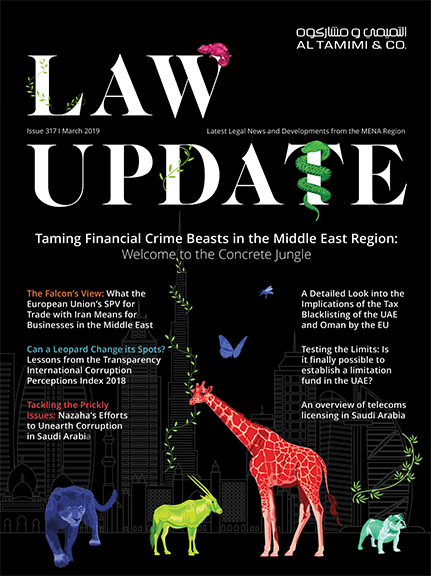 Eagle Hills, a regional real estate development, on its various real estate developments and hospitality projects in Amman and Aqaba, including the St. Regis Hotel and Residences and Marsa Zayed. Masdar on its 200MW solar power project in Jordan. A major multinational beverage company on the acquisition of Aujan across the Middle East. A leading global financial services firm and HSBC as lead arrangers to an IPO of a major telecommunications company in Iraq. Capital Investments, as lead arrangers to a JOD 85 million Sukuk Al-Ijara-Muntahia-Bil-Tamaluk issued by Al Rajhi Cement Company.